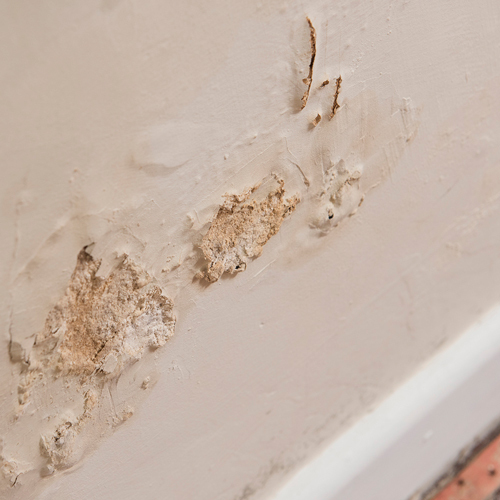 Localised dampness — Blotchy patches on internal walls. 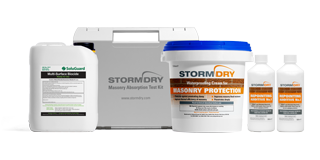 Plaster damage — Plaster & paint deterioration, blistering, appearance of stains & salts. 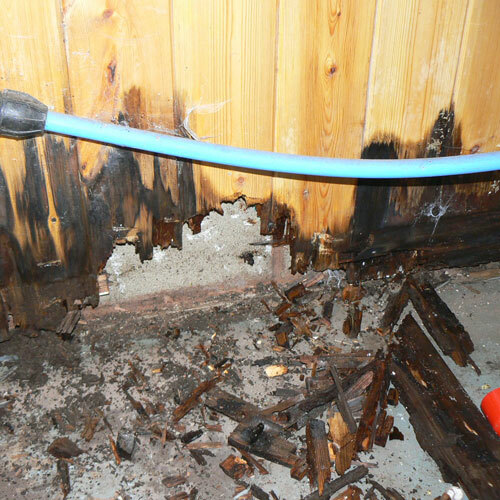 Wet Rot — Rotting skirting boards or timber. 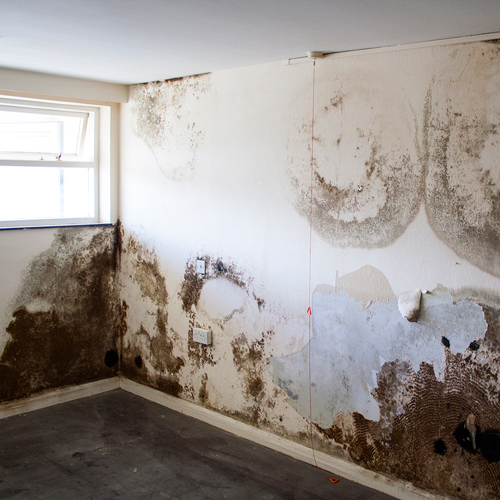 Mould — Mouldy smell or signs of mould growth on internal decoration. 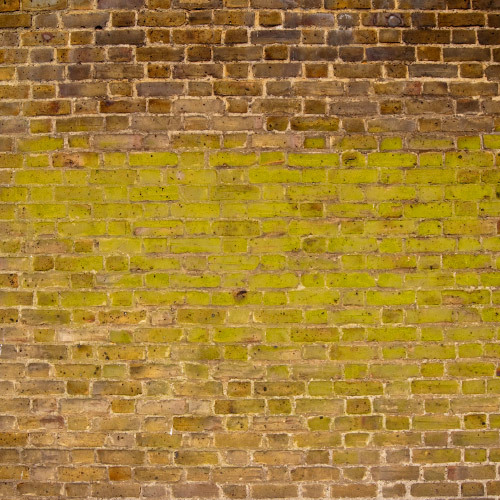 Moss — Excessive moss growth on external walls. 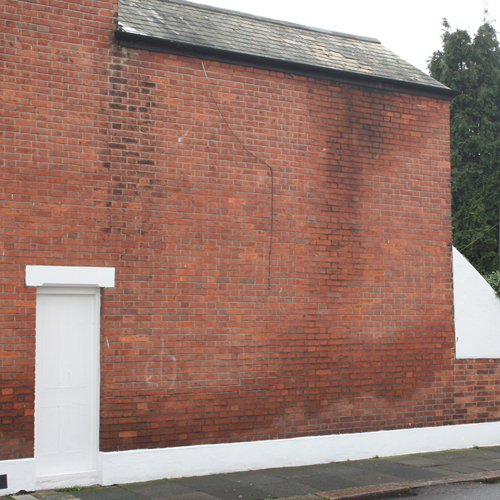 Brick damage — Moisture entering the brick (known as spalling) causes surface damage. 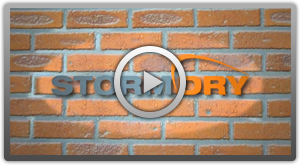 Porous Walls — Aging bricks lose the ability to keep out rain penetration. 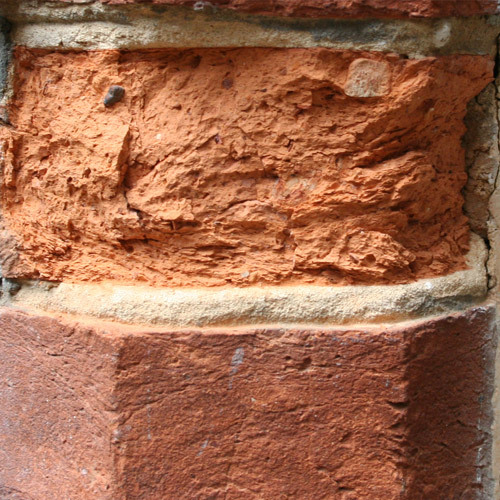 Spalled Bricks & Degraded Mortar — Damage to brickwork allows water to penetrate. Building Defects — Defective guttering and downpipes, roof damage, dilapidated or poorly installed windows. 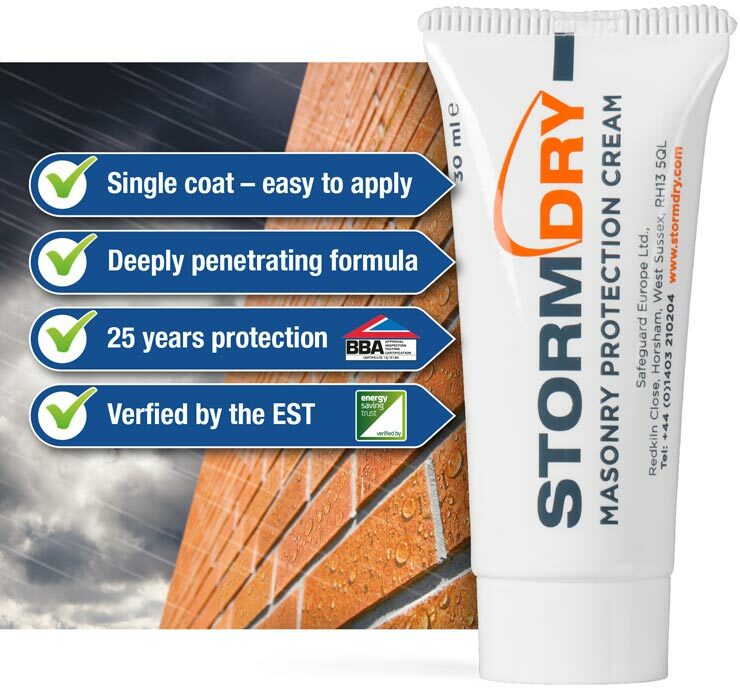 In this case fix the root of the problem before applying Stormdry to boost your protection. Apply a single coat of Stormdry. 24-48 hours later, the walls will be have returned to their original appearance. Within a month the walls will be fully water repellent.